The show Portlandia never fails to delight me. Fred Armisen and Carrie Brownstein create skits that aren’t just related to life in PDX (Go Ducks!) but address some of the societal issues we face on a regular basis. During a recent Netflix binge of Season 5 of the show, an issue that resonates with many of us working in the technology industry was brought to the forefront of Fred and Carrie’s comedic focus – working from home. 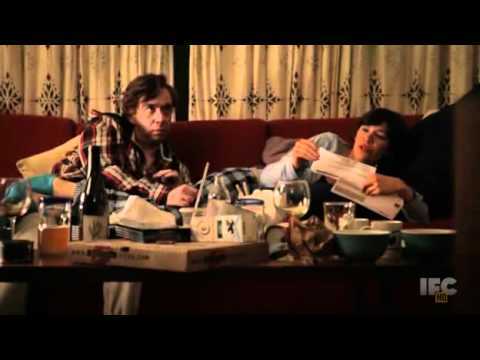 Take a moment to check out this clip, Portlandia – Working from Home, and then answer some questions about your current work from home experience. 2. Are you required to sneakily set up a remote connection from your laptop to your roommate’s printer because your from home workspace doesn’t have the same access to hardware (or software) that you would have in the office? 3. Are you frequently distracted by all the fun and jubilee happening no more than 30 feet away from you during peak project times as assigned by your boss? 4. Do you have FOMO (Fear of Missing Out) of all of the cool things you see your in-office coworkers doing that are being streamed live on your company’s Twitter feed? 5. Do you spend more 40% more time during normal business hours walking, feeding, playing with and/or bathing your adorable Shiba Inu Celery than you do coaching your direct reports? If you answered yes to questions other than #2, you may be distracted while you are working from home. If this is you, take some time to reevaluate your remote work environment and the initial driving factors that led to your decision to work remote more frequently than working with your team in the office. You may be surprised to find out that not only are you less productive working predominantly from home but that you have inadvertently taken on a part-time job of your roommate’s/spouse/partner’s personal assistant. What checks and balances (aka policies to you HR folk) have you implemented at your organization to ensure that the remote work option is yielding positive and productive results without being misused? This entry was posted in Employee Engagement, Human Capital Management, Human Resources and tagged collaboration, employee handbook, hr, PDX, Portland, productivity, remote work, teamwork, workplace policies. Bookmark the permalink.